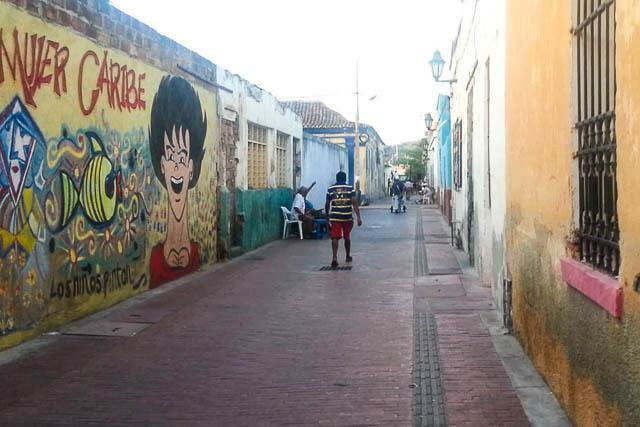 Santa Marta, Colombia may not be as popular, colorful, or tourist-friendly as the more popular Cartagena, Colombia, but you’ll find that it has it’s own gritty charm. While there may not be an endless list of things to do in Santa Marta Colombia, the real draw of staying here is that it provides an excellent home base for a number of incredible eco-attractions that lie within quick reach of Santa Marta. I’d been in Colombia for less than a week, and was eager to escape the touristy Cartagena, Colombia, and I found a much more laid back vibe in Santa Marta, where my buddy and I ultimately settled in for two weeks as we studied Spanish and adapted to a new place. Santa Marta is hot and sticky. It sits sandwiched between the sweltering Caribbean waters and the towering Sierra Nevada de Santa Marta mountain range — which is the tallest coastal mountain range in the world, with peaks reaching as high as 18,950 feet which is also the highest mountain in Colombia. Thanks to the mountain range on the backside, the city gets an incredible breeze almost every night which makes things a little more bearable, if you don’t dig the hot, hot, heat. Here we’ll talk about a few things to do in Santa Marta, and the most popular trips you can take in the vicinity while using Santa Marta as a home base. This park is sort of the central-area of attraction for travelers, where you will find tons of restaurants, bars, clubs, and historical monuments. There are a few pedestrian only streets that skirt the area, which makes it great for an evening stroll before or after grabbing a drink or bite to eat. The Rodadero Beach is not just one of the best beaches near Santa Marta, but one of the best along the length of the Colombian Caribbean. Here you will find a popular white sand beach surround by gleaming towers, and towering green mountains. It’s a place to see and be seen, where you can hang out on the beach, practice water sports, or just work on that tan. 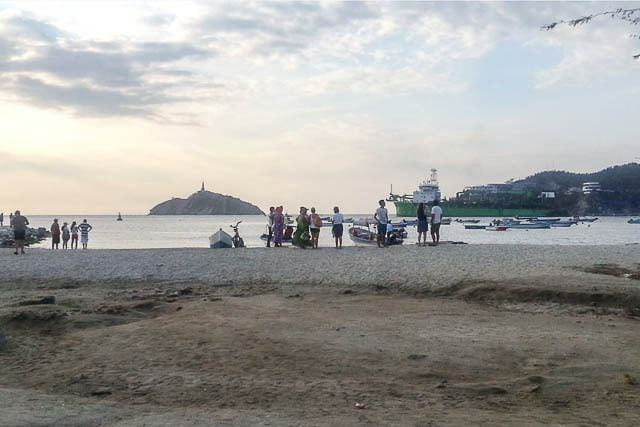 The beach is located south of the town of Santa Marta, so you will have to visit by cab if you are staying downtown. There are ample hotels and a lot of nightlife here too, if that’s of interest. This is the coast, so there’s no better place to grab some fresh street food. 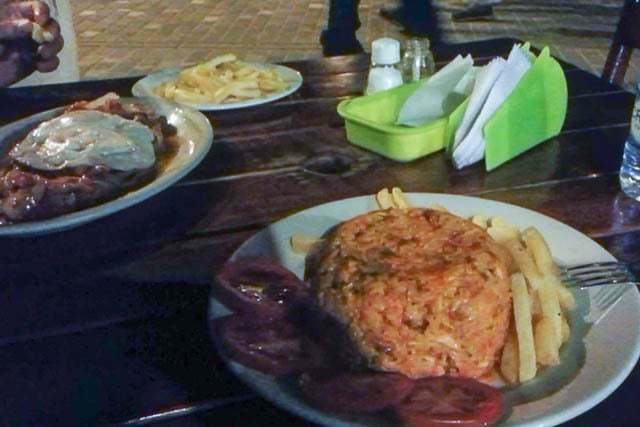 Grab a ceviche, which is a prepared in the Colombian-syle, or a rice with mixed seafood (like arroz con camarones or arroz marinero) which is absolutely delicious. Go to the little places where you see lots of locals congregating, rather than touristy places with hamburgers and pizza. The Quinta of San Pedro Alejandrino is a large estate or hacienda located on the outskirts of Santa Marta and is famous for being the place where Simon Bolivar died in 1830. If you aren’t familiar with Simon Bolivar, now is the time to do so, because you’ll be hearing about him across a grand chunk of Latin America, as he was instrumental in the establishment of Venezuela, Bolivia, Colombia, Ecuador, Peru, and Panama as sovereign states, independent of Spanish rule. Check out the book Bolivar: American Liberator for a good read. 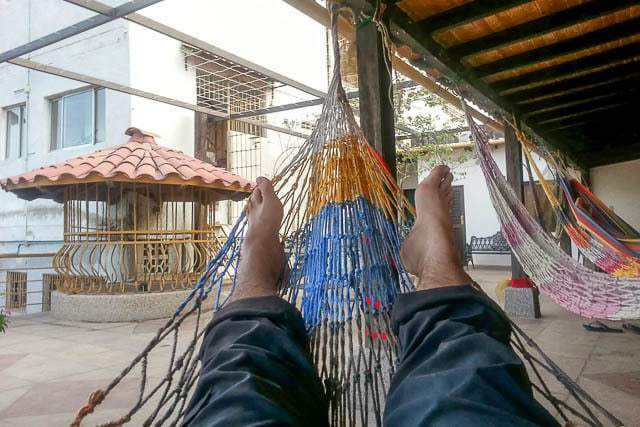 There are tons of backpacker friendly hostels throughout Santa Marta, but be sure to grab a reservation (I recommend via Booking), particularly if you’ll be traveling there during high season (especially in January) when many Colombians make the visit to the coast from the interior of the country, especially from cold Bogota. While I enjoyed my two weeks in Santa Marta as I settled into life in Colombia, the real attractions are what lays in the immediate vicinity, with a number of incredible places that are often among the highlights while traveling in Colombia. 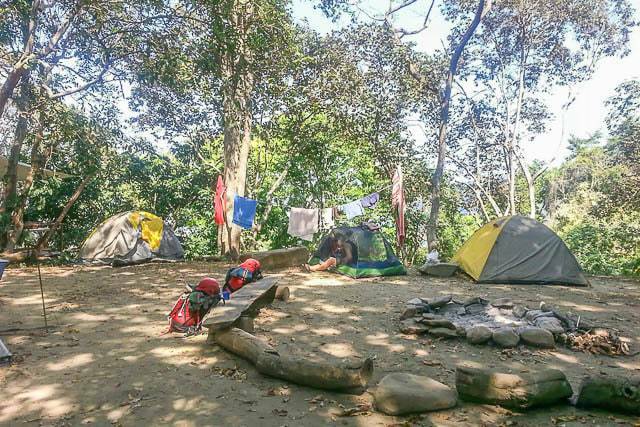 This is national park is undoubtedly the main attraction for any visitor to Santa Marta, where you will find a rugged jungle that meets pristine white beaches that affords one the opportunity to hike or trek and see some of the incredible biodiversity. The park isn’t cheap, and nothing inside is cheap either, so be sure to bring plenty of food and water for your stay. The park can be reached by boat or by transport and then walking a few hours. The Lost City or Ciudad Perdida is the Machu Picchu of Colombia, if you will. 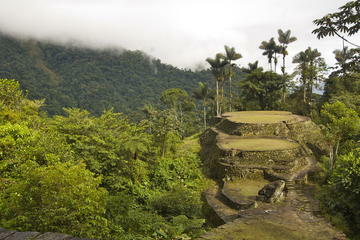 The site itself is older than Machu Picchu, and they sit deep in the middle of a hot and humid jungle. Visiting the Lost City is not for the faint of heart, as you will have to trek five days through the jungle in order to visit. You must go with a tour, as self-guided trips are not allowed, and it will cost you a few hundred bucks. Unfortunately, I didn’t have the budget to do it at the time, but those who have say it is amazing: check out this post on the Ciudad Perdida trek. 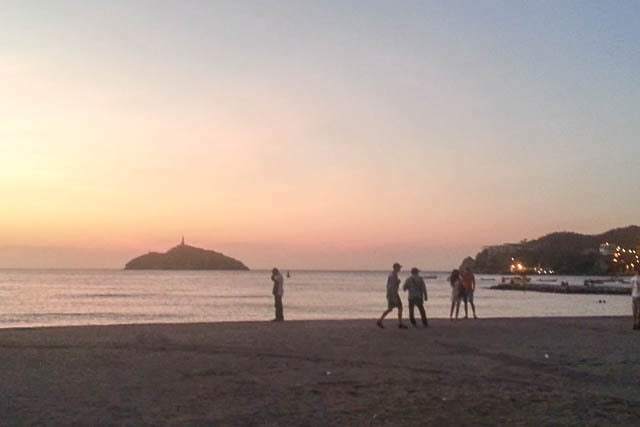 Taganga was once a small and sleepy fishing village, but it has become a spot super popular with the backpacker crowd, where you will know find expensive and overpriced falafel, parties that rage all-night, and all that sort of stuff. Honestly, I didn’t come to Colombia for this sort of thing, so I didn’t bother visiting. It is, however, one of the cheapest places in the world to get a scuba diving certification, if that’s of interest to you. 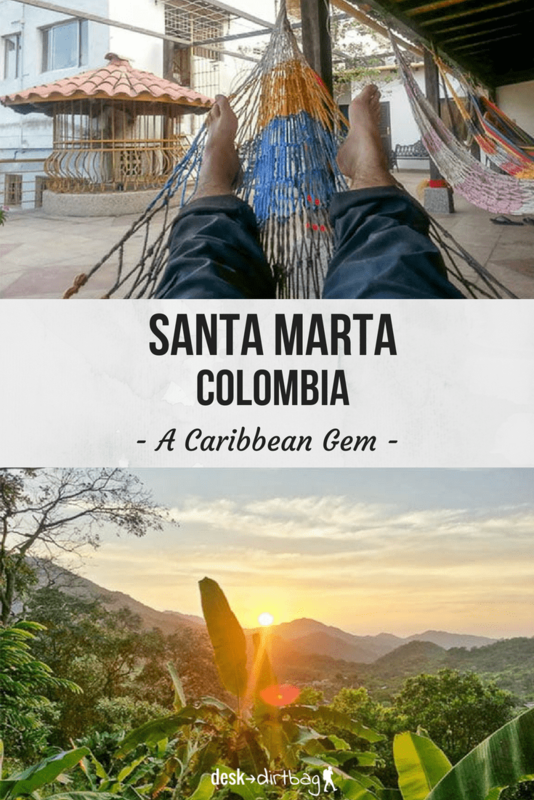 If you’ve tired of the coastal heat, then you can quickly escape to the mountains above Santa Marta and visit the little town of Santa Marta, tucked into the rugged green mountains and overlooking the shimmering blue waters of the Caribbean far below. The town is touristy, of course, but it’s a worthwhile escape where you can hike along gurgling rivers, lounge by waterfalls, visit coffee farms, or just hang out in a hammock. While Minca is only about an hour away from Santa Marta, it’s worth hanging out for a few days. We camped at the Hostal Casa Loma located high on the hilltop, which requires you to climb up 200 some stairs to reach it… It definitely had us sweating and complaining as we hiked up in the humid air with our overstuffed backpacks. So there you go! I hope that gives you a good idea of what to do in Santa Marta Colombia. Honestly, as far as cities go, Santa Marta was my favorite place along the Colombian coast. It is unpretentious and a little gritty, but a good place to settle in. I’d definitely recommend it as a base if you need to work on your Spanish in between exploring some of the nearby nature. Did you enjoy this post about things to do in Santa Marta Colombia? Please take a moment to share it on Facebook, Pinterest, or Twitter. Thanks for this series on different place in Colombia. I’ve only been once and it was a long time ago when things were dangerous, so I hope to get back there now that travel is safe!